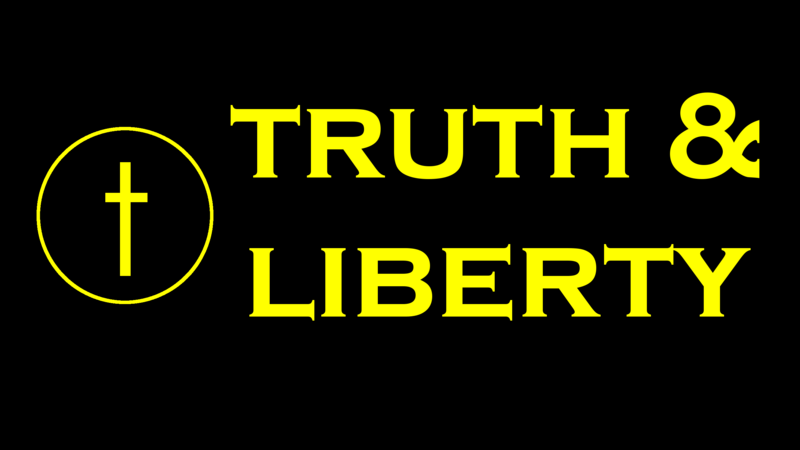 What is Libertarianism? You are Libertarian. But that’s not what Johnson meant. What Johnson meant, and what I mean today is that You, yes you my reader, are Libertarian. You just don’t know it yet. It doesn’t matter how you voted in the last or any election. You are Libertarian. All I have to do to prove my case is to define what it means to be a Libertarian. Thankfully, I don’t have to do that. I’ll let Murray Rothbard do the heavy lifting. Libertarianism holds that the only proper role of violence is to defend person and property against violence, that any use of violence that goes beyond such just defense is itself aggressive, unjust, and criminal. Libertarianism, therefore, is a theory which states that everyone should be free of violent invasion, should be free to do as he sees fit except invade the person or property of another. If you agree with the above principal, as every Christian should*, then you are Libertarian. And I’d be willing to strongly wager that very very few of you would be willing to claim that you don’t agree with this. When is it right to commit violence upon an otherwise non-violent person? And since we believe in the rule of law (we do, don’t we? ), no person, organization, group, institution, official or government agency is above the law, meaning that no such entity has the right to commit aggression on another. No king, politician, president, representative, senator or bureaucrat, no matter how democratically elected or constitutionally appointed has the right to commit force or fraud. The difference between Libertarians and others is that Libertarians use this as the primary principal on all political issues. Since we recognize, as the Apostle Paul did in Romans 13, that government activity is equivalent to violence, we limit those activities of government to defending, or providing remuneration for, acts of violence. So really, you are Libertarian. You just don’t know it yet. And when you violate the Non Aggression Principal on any particular issue, you are not proving yourself to not be a Libertarian, you are merely being inconsistent. Unless, of course, you hold violence to be a good thing. But isn’t Libertarianism about Anarchy? No. Libertarianism is about Freedom, but not simply freedom to do whatever you want, rather freedom from the aggression of others, whether they be individual neighbors or government organizations. * Note, my primary audience is Christians. I don’t mean to exclude atheists and those of other faiths. I simply believe that Biblical Christianity has no room to disagree with this principal. For those of you who are paying any attention to my ongoing efforts to defend my Libertarianism, I submit the following two resources that will answer any question you could possibly have on the subject :). Do you reject theonomy, and if so why? Why shouldn’t the Old Testament Law be enforced by human government? Theonomy, strictly defined, is the notion that God is the sole source of human ethics. There is an element of truth to this: ethics do find their root in the character of God. However, many theonomists add that ethics are rooted only in the witness of Scripture, and hence declare that natural law is false. Some take it even further and say that human government exists to enforce biblical law. These elements of theonomy I reject. First, I take a concordance view of ethics, that natural law and Scripture coincide and support one another rather than oppose. I would point Scripturally-inclined readers to Romans 1-3 as some of the prime evidence for this. I also believe very strongly that the State is the enemy of God, existing as a result of man’s sin rather than as part of the original created order and the destiny of man on earth. God is the true King of the Universe, and all power and glory belong to him, never the State. Please read with an open mind.